iX Paris connecting startups and top international investors on June 18-19th - apply by May 18th! iX Paris connecting startups and top international investors on June 18-19th – apply by May 18th! 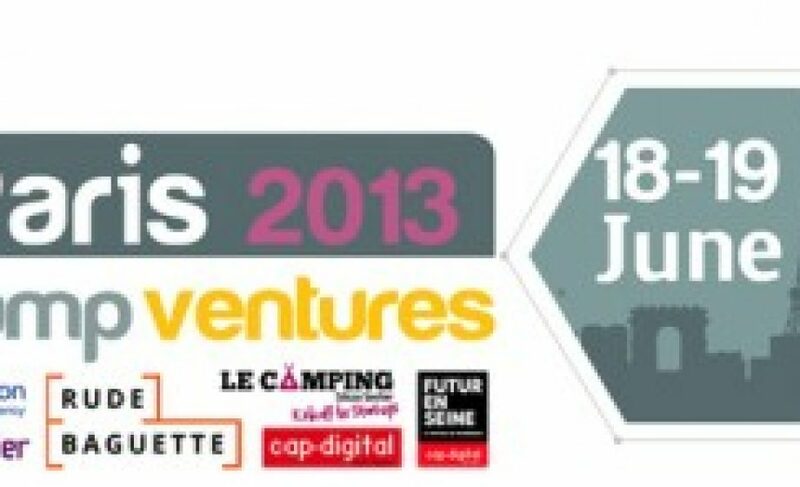 June 18 – 19th one of the top international events with the specific objective of getting promising startups in front of high-quality, international investors is coming to Paris for the first time. We introduced iX Paris, which is run by Bootcamp Ventures, last month to you here. If you’re at the post seed, international expansion phase and are looking to get in front of a solid group of active, international investors, this event offers a great opportunity. As a reminder, the application deadline is May 18th and you can apply here. If you’d like to attend and see what it’s all about, our readers can still get tickets with a special 25% discount using code RBAPR25. The 25% off rate is only available through Friday and spaces are limited as iX has a max attendance of 200, so act quickly if you want a ticket. How did Bootcamp Ventures develop? How do you work? Ed Frank (cofounder) and I created Bootcamp Ventures about five years ago. We’re both from the US but have worked and lived on and off in Israel over the years. Although Israel is known as the ‘second Silicon Valley’ and despite an enormous amount of startups created amongst the Israeli population we realized that there was something missing. There was essentially a gap which was the knowledge of how to speak to and engage with international investors and potential partners. Many of the entrepreneurs are extremely talented, technology savvy and build incredible, innovative things. So we wanted to help startups once they created their initial Beta and start gaining some traction to go abroad. (As we looked elsewhere) we saw that 95% of the startups that are outside of the Silicon Valley ecosystem don’t have the means, the network, the know how to understand how you engage with international investors that will help the company whether it be through capital, connections, channels etc. It really is a culture that is not apparent or available for most startups. So this is what we aim to do and to change. We’ve expanded and have been operating in Turkey, for example, for several years and have seen enormous change in terms of the caliber and commitment of entrepreneurs there over the years. We’re operating in several other markets as well. For us it’s about identifying the jewels, really being on the ground, exploring the local ecosystems, properly screening the companies, coaching them and getting them ready for our iX events. These events are really anchor events that begin the relationship between startups and investors. It’s all about engaging investors from 20 – 25 countries and helping startups build those relationships with them. Throughout the year, leading up to and following these events, we act as strategic advisors for both startups and investors (who participate in our events). We have a rigorous selection and preparation process. So when they sign-up we obviously screen their presentation and get a feel of how they present. We then select a certain number for a first face-to-face interview (via Skype). Then those we select we work very closely with them to review their presentations multiple times and ultimately doing a dry-run at the venue the day prior to the event. 20 – 25 investors seems a lot to participate in this type of event. How does this work on the day? How it works is that we select approximately 20 startups to participate. We also identify the interests of the investors. The startups are then grouped into four tracks (generally in-line with investor interest) from everything from mobile to big data. The investors specifically interested in each of these categories will need to sit through all the presentations and give feedback right away which is extraordinarily valuable to startups. We let the investors know that they must give insightful feedback… not on the color or size of their font but rather on their business model. So it’s really a Q&A with comments format with intelligent networking afterwards. What stage do the startups tend to be that participate in your events? The bulk of them are post seed. We find that thanks to the rise of accelerators in the last few years, the startups initially have the legs to start going but the hard part comes when they want to scale up and expand outside of their country or region. International investors want to see a certain amount of traction to help mitigate some of the risk that is inherent in any type of investment. So, that’s why it tends to be the post seed round stage. That being said, we’re always keeping our eyes on the accelerators across 20 different countries, angels, mentors (ie Loewy is an IBM smart camp mentor), etc. For accelerators in particular, the idea is to always be on the look out for their graduates and to offer their graduates an opportunity. So, for example, some of the companies that have recently participated in our events and received funding, we identified two years ago as ones to watch. So it’s always important to be on the look out. Does Bootcamp invest in startups directly or do you simply make the connection between startups and international investors? We are an advisor group. We don’t invest capital, but we invest a lot of resources in terms of advice around finance, strategy, go-to-market, etc. Also, many investors turn to us to help with filtering of the deals they receive. They’re looking for qualified deal flow. Perhaps down the road this will change, but for now I like to say we’re a cross between an accelerator and an investment bank. Who are you partnering with in the French ecosystem on the iX Paris event? We have our partners which we’re thrilled with on our upcoming Paris event including the Paris Region, Le Camping, Silicon Sentier, La Fonderie, Cap Digital, etc… In fact the whole thing came about because they approached us. This is the first time that government agencies specifically sought us out. In France they see the need for and the value of that we bring. It’s very high level, high-caliber which is our differentiator. For example, we cap our attendance at 200 (intimate size), it’s very deal oriented, very intense; it’s all about focusing on the startups, intelligent networking and ensuring that they understand how to talk and interact with international investors. Beyond your events, what’s next? We’ll soon be launching an online platform to bring together our ecosystem…entrepreneurs from Israel, Turkey France, Bulgaria, the US, etc so they can all engage and be able to post their profiles to get even more exposure to a global investor base, making them more accessible. More generally though, we’re proud of what we’ve accomplished to date. We’ve been excited to open new ground and help startups that would not have had the opportunity to get in front of such high quality, active international investors. We’ve had 20 events in 5 countries since we started and we’re seeing results. Several companies have secured financing, been invited major events like Demo Days, and signed big deals. So we’ve picked some solid winners to participate in our events which is very encouraging. We’re now getting requests to do iX events elsewhere, such as Mexico and Singapore. If overall there’s a need then we’re absolutely ready to consider it.